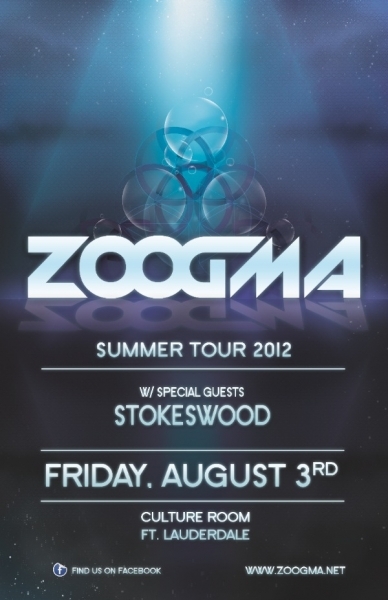 Zoogma combines the sonic diversity and precision of a DJ with the excitement and immediacy of a four piece rock group. They recently released a new EP “Wet Hot American Mixtape” available for free download on their site at www.Zoogma.net.com. Hailing from Atlanta, Stokeswood is an incredibly unique, Low-Endie Rock band with infectious energy, unpredictable live performances, and a fierce electronic edge. They coined the phrase “Low-Endie” rock to describe their layered mixture of pumping synths, powerful vocals, and irresistible dance vibe. 3. The winner will be chosen on Thursday August 2nd at 6pm.